I’ve always been strongly drawn to art but it took me a very long time and much experimentation to find a medium that I was skilled enough at to be able to express my own creativity. What I love most about conceptual photography is that I can create impossible worlds and put myself right there in the scene in a way no other medium allows. Being able to express all the stories I want to tell and give a voice to my dreams and fears is incredibly empowering and feels a lot like performing magic. To create The Magic Show I photographed myself in my garage against a black sheet using a household lamp and Speedlite for lighting. The girl is made up of different photos of parts of my body while the hat and flying hair were shot separately and composited in. 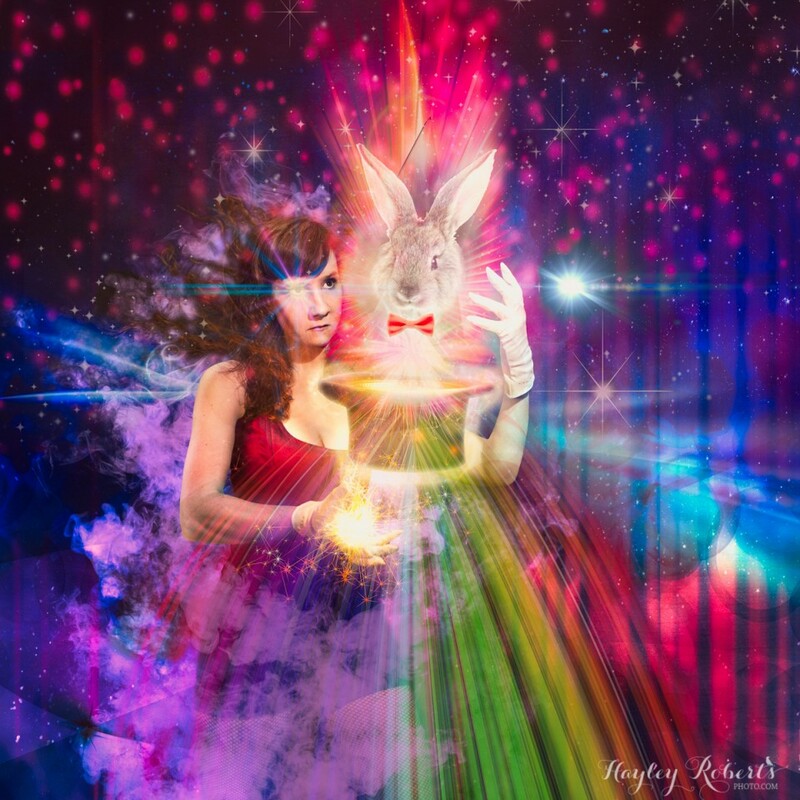 The light effects, background curtain and rabbit are all stock sourced from Graphic Stock. The image was created to explain how to add specials effects to your photos which you can learn about here.